Manufacturer of a wide range of products which include debisulin capsules, grape seed extract capsules, fenugreek capsules, marshmallow extract capsules and jamun extract capsules. 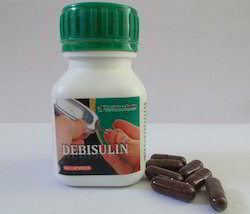 Our Company manufacturers Anti Diabetic herbal Capsules under the brand name debisulin capsules. The capsules have no side effects and very effectively control the blood sugar level in the body. It has varied benefits attached with it and also increases the resistivity and immunity power of the body. Neem :¿¿Its fruit is bitter in taste, pungent is post digestive action, expels hardened faces, demulcent, light in action , hot in potency, clears skin diseases, intestinal tumours, haemorrhoids, worms and urinary diseases including glycosuria . It is mostly efficient in blood pressure and diabetes . Karela :¿¿It is especially helpful in reduces high blood glucose levels so it is very good for Diabetic persons. 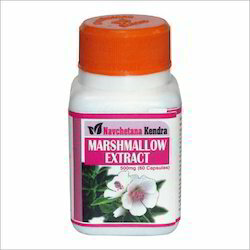 The greatest advantages of this herbal diabetes supplement are that have no side effects. 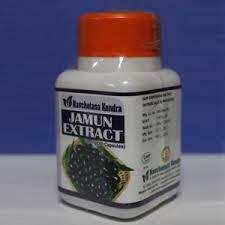 It also helpful to controls fever, diseases of pitta, kapha anaemia, glycosuria and worm infestation. Jamun Beej :¿¿the fruit is Raja Jambu is tasty,palatable,heavy and constipative and seed powder is used in D.mellitus. Methi :¿¿It control of Controls blood sugar levels and Reduces risk of heart disease. Gudmar :¿¿It is an indicate Diabetes. It is helpful lower blood and urine sugar levels. Giloy :¿¿It has used in fever, diabetes, urinary tract disorders, anemia, jaundice, asthma, cardiac disorders, etc. Guggulu :¿¿It can improve symptoms of rheumatoid arthritis.Guggulu extract is used in diabetes. ¿¿¿¿¿Anti Biotic (¿¿¿¿¿¿¿¿¿¿¿¿¿¿¿¿¿¿ ¿¿¿¿¿¿¿¿¿ ¿¿¿¿¿¿¿¿¿ ¿¿¿¿¿¿¿¿¿¿¿¿¿¿¿¿¿¿¿¿¿ ). 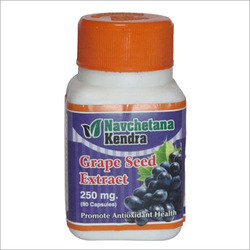 Our company is engaged in offering the best quality Grape Seed Extract Capsule. This capsule is known for its anti-inflammatory and anti-allergic properties, & help in improving alertness of mind. Our offered capsule is provided in various packaging options. This capsule is also use for improving night vision in individuals & provides relief from constipation. Beneficial effect on bone formation. Anti-aging properties (protecting collagen and elastic). Native to the Mediterranean region, southern Europe, and western Asia. Fenugreek leaves are eaten in India as a vegetable. 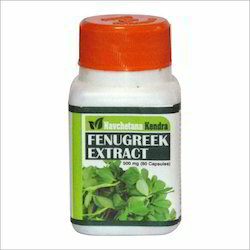 Fenugreek may increase arousal and levels.